What's happening to my WordPress website? Restoring The Classic Editor. We believe in more than just making money. From website design & marketing, to technical support. We’ve got you covered. We design premium custom websites, including: e-commerce, blogs, kiosks, and all types of small business websites. Our success packages help with marketing, social media management, and search engine optimization. 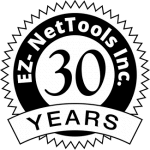 I've used EZNETTOOLS for many years. They offer many resources for developing an online business. They have great customer support. Any problem that I encountered they quickly helped with. I don't hesitate in recommending them as good people to do business with. I have been using EZNetTools for 17 years now and they have always been reliable, helpful and on top of the latest technology. Recently one their techs, Steven has been key in helping me get my site overhauled and up-to-date which will debut soon! I highly recommend the EZNet team!